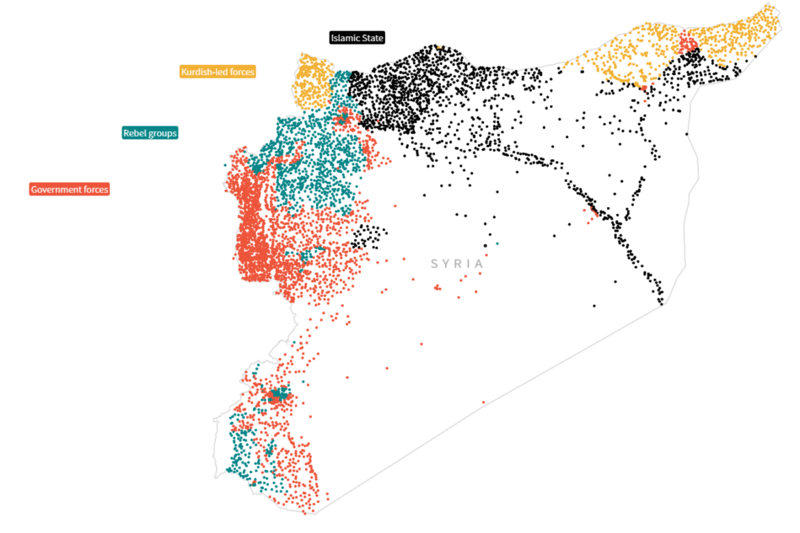 Reuters has created several data visualizations illustrating how the sizes of territories controlled in Syria by government-led forces, rebel groups, Kurdish-led forces, and ISIS have changed since 2015. The visualizations show that since 2015, ISIS has lost the nearly 1,500 communities or areas with key infrastructure that it controlled. Both the Syrian government forces, backed by Russia and Iran, and the Kurdish-led forces, supported by the United States, have gained significant territory.